Meanwhile, feast on the PS4 launch trailer. Feel bad because you forgot about this game? Don't worry, you're not the only one. The newest PixelJunk game Nom Nom Galaxy was quietly released on PlayStation 4 in mid-May without the usual barrage of press releases and rooftop shouting. If you ever wanted to build a soup factory and defend it against alien attackers, now's your chance! 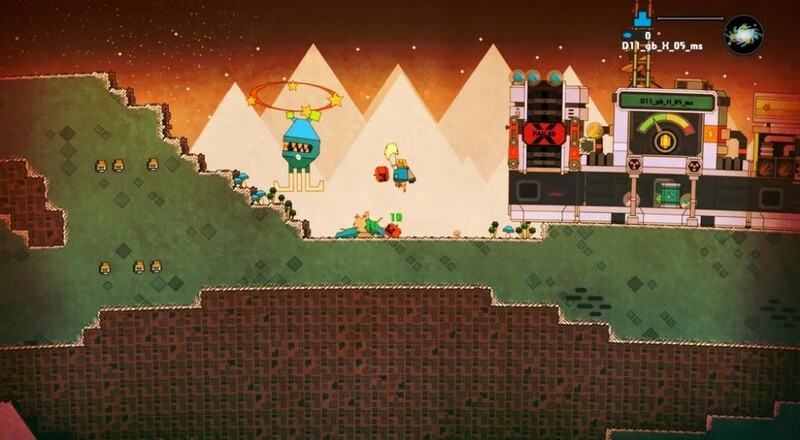 March 2014 brought us the first taste of Nom Nom Galaxy, which was formerly known as PixelJunk Inc. The Steam Early Access release has been quietly humming in the background while developer Q-Games tinkered with the tech behind the scenes. Creating a full-scale terraforming, building, production, defense and strategy game doesn't happen overnight, you know. Nor does adding both local and online co-op, for that matter! Q-Games partnered with Double Eleven to make the PlayStation 4 release happen. Part of that deal meant slapping a hard deadline on the PS4 version's launch date. The team hoped to hit the switch on both the console and PC releases simultaneously, but game development, much like everything else in our corner of the multiverse, rarely goes as planned. Now, expect the PC release to happen in June, with all the content from the PS4 version along with a handful of Steam extras. And yes, online co-op, too! Page created in 1.2017 seconds.